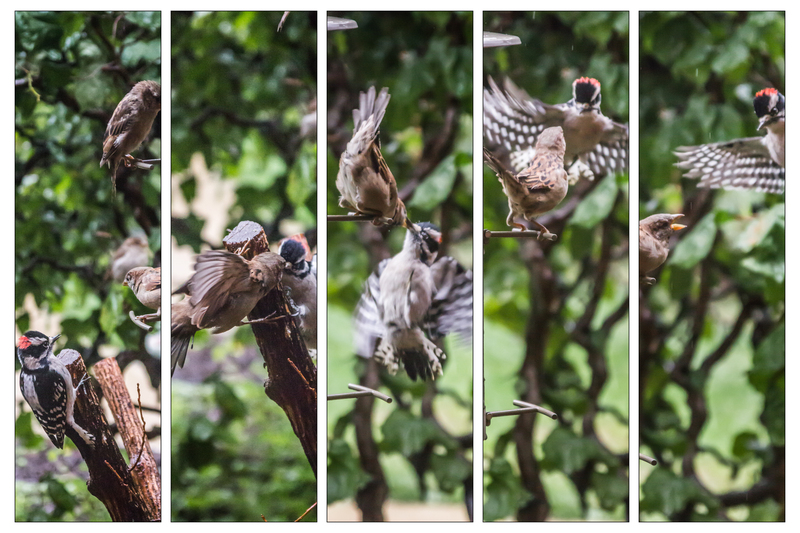 We put a birdhouse right outside our kitchen window and it’s been fascinating to watch the action and interactions. Turns out that the woodpecker is a big ole meanie! 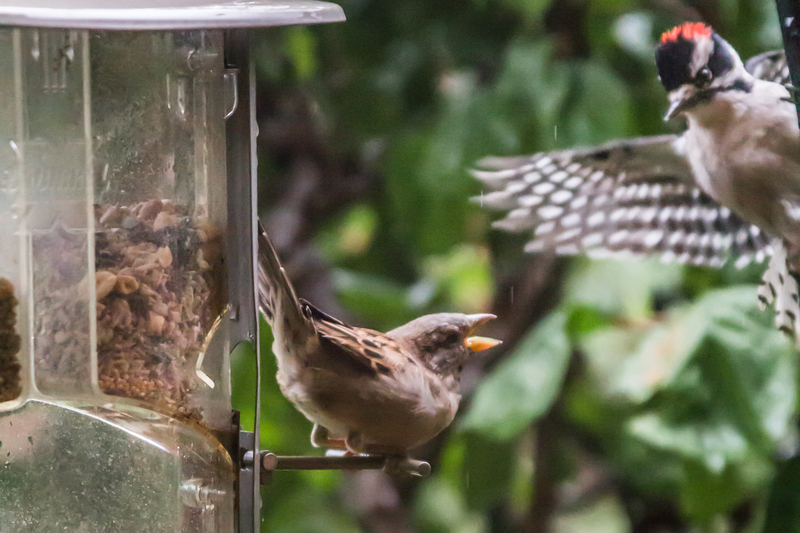 I know it may not look like it here, but that woodpecker started it. I saw it.